My traveling partner, Michael Conner is afraid of snakes. 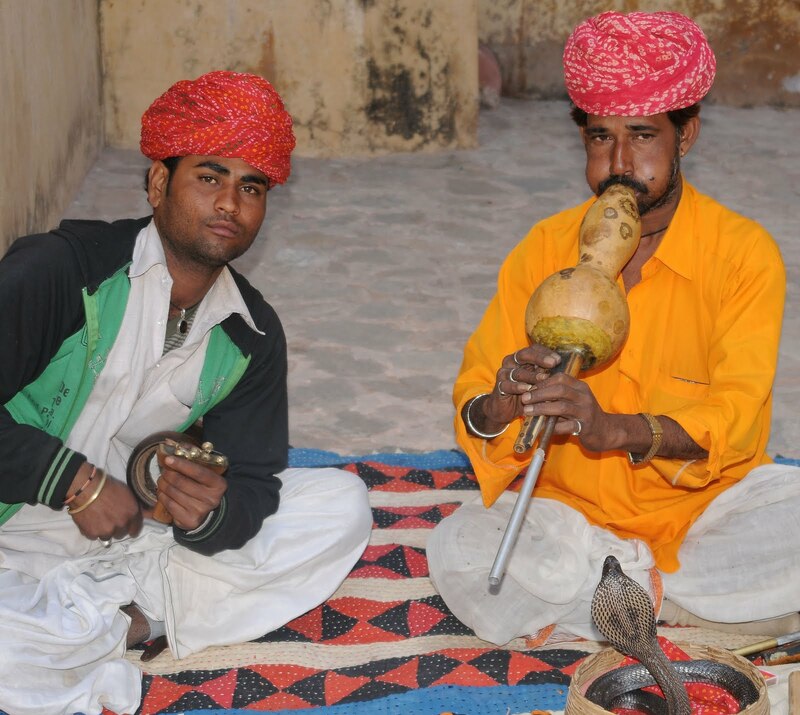 So when we came across a couple of snake charmers in Jaipur, India, he practically jumped in my arms! Our guide convinced him this cobra was "rubber. Not real. Pet him!" Actually, lots of so-called snake charmers in India use rubber snakes to collect money from gullible tourists. The snake charmer pushed the head of the snake to prove it was fake. I took pictures of the snake to determine the truth - close up, rubber snakes do not have real eyes. So Michael, shaking, touched the cobra's head as the charmer winked at our guide. Michael, despite his misgivings, was pleased that he petted the snake, proving it wasn't real. He could relax. 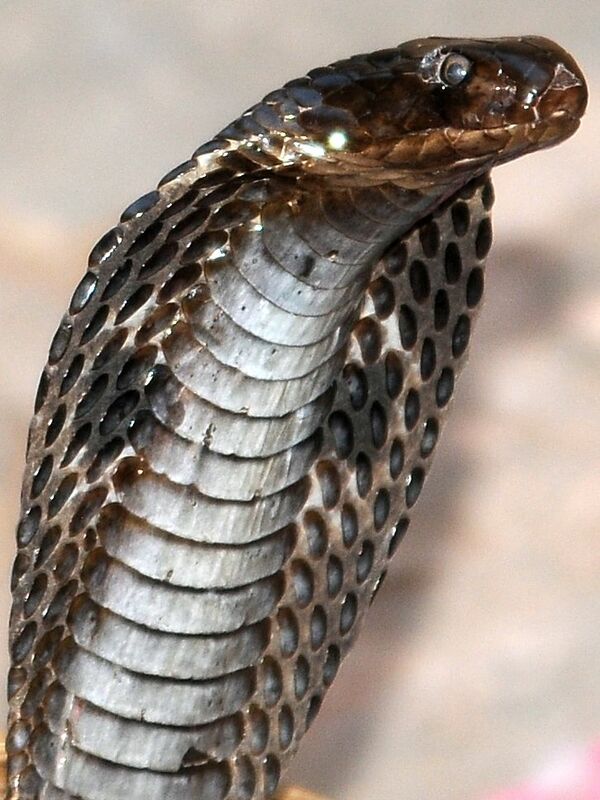 As we walked away, I looked at this tight close up I took of our cobra friend on the camera. The guide laughed - hard. "Take a look, Michael," I said. The close up of this real live snake speaks for itself. Michael can't stop reliving the sensation of the real live cobra that he "petted."